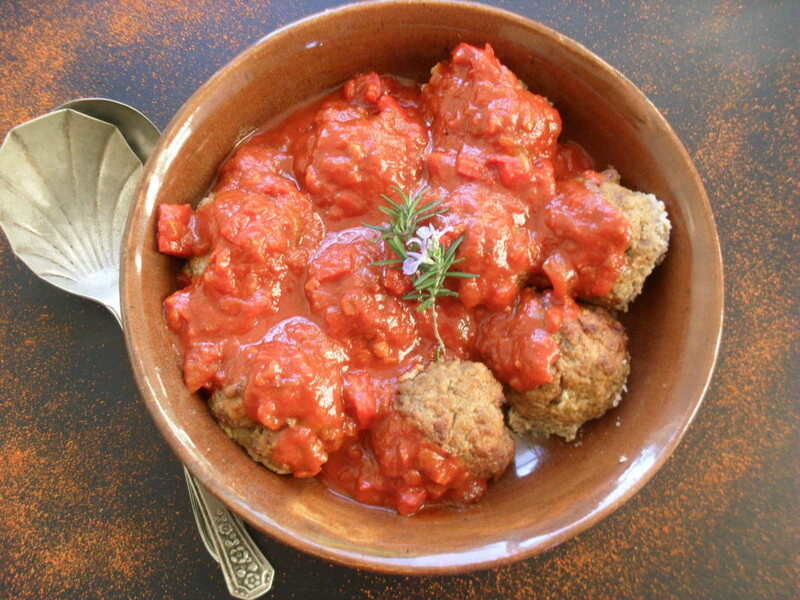 These goulash meatballs are spicy and a great dish to prepare on a cold winter’s night! 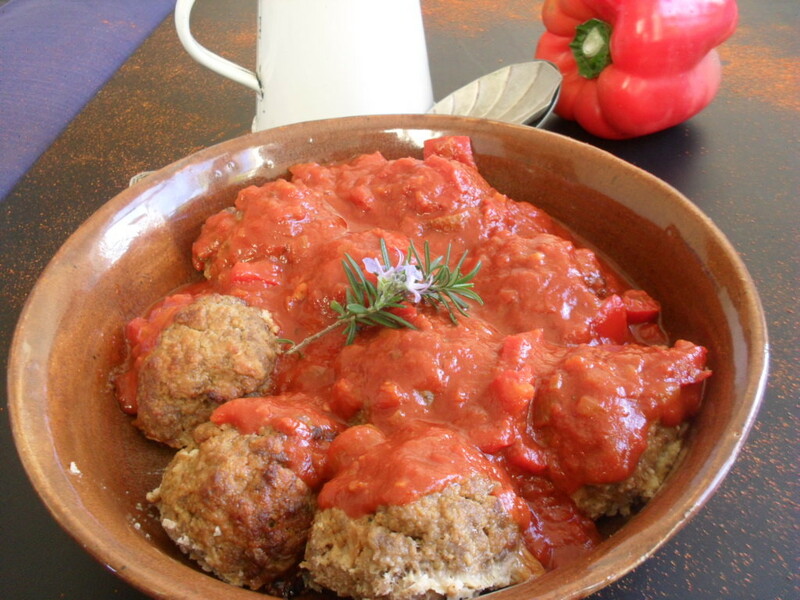 Every person need to have a good meatball recipe. I have been making this recipe for years and I have posted it before. Every time I try a new recipe, my family complains and I always revert back to this old and trusted recipe. The only time that I will be excused to use another recipe is when I make curry banana meatballs. I use the same recipe when I make beef burgers. The burgers / meatballs freeze extremely well. Having these meatballs in the freezer, saved me quite a couple of times in the past, when unexpected guests show up for dinner. It can be taken out of the freezer and warmed up in a couple of minutes. Serve with some buttery mash and a salad. 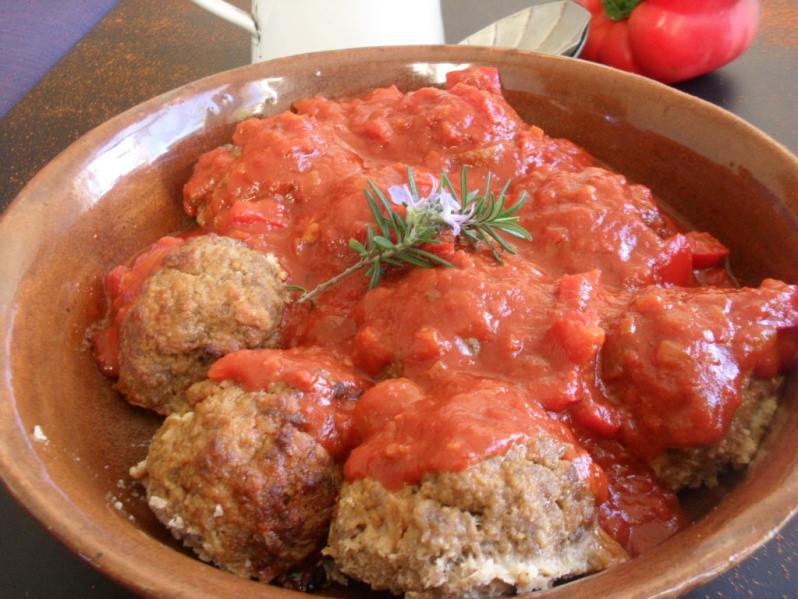 The meatballs are also great dressed with a sauce and served with pasta. A simple well cooked tomato sauce with loads of basil is perfect. 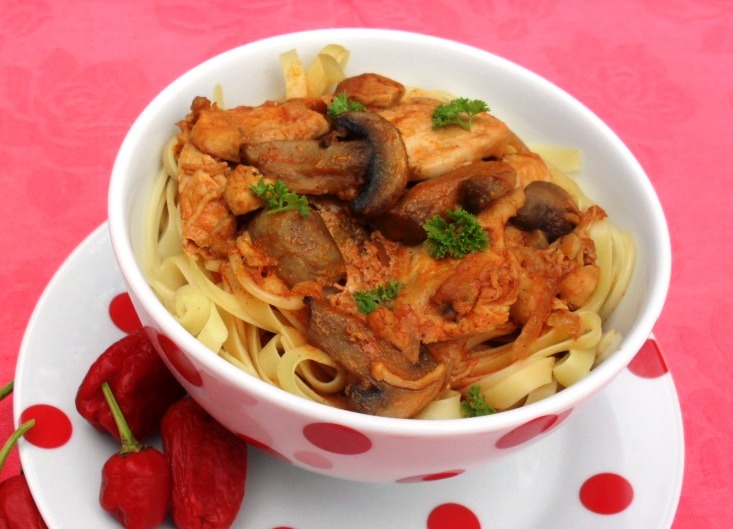 If you do not have the time to cook a sauce, simply add a shop-bought one. The meatballs are also delicious when served cold, but definitely not in winter! In winter it needs a spicy hot sauce, like this goulash sauce. Serve this with rice, pasta or mashed potatoes and a dallop of sour cream if you wish. Enjoy the weekend and remember to have fun in the kitchen! Mix all the Pattie ingredients together. Form into meatballs and place into an oven dish. Place a small piece of butter on each meatball and bake for 25 minutes in a pre-heated oven. In the mean time prepare the goulash sauce by heating the oil in a sauce pan. Sauté the onion until soft in the oil. Add the chopped red pepper, tomatoes, tomato paste, stock, paprika, cayenne pepper and sugar. Season with salt and pepper and simmer for 20 minutes. Remove the meatballs from the oven and pour the goulash sauce over. 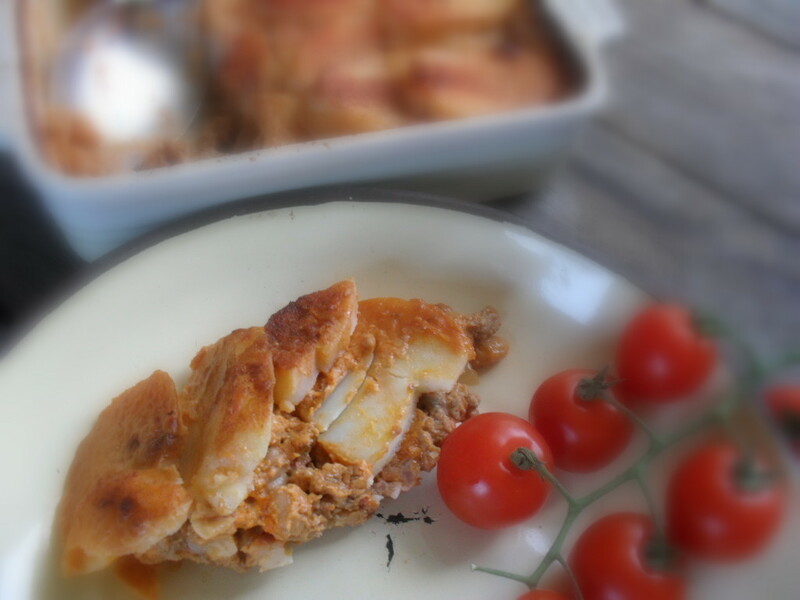 Reduce the oven temperature to 160ºc and cook for another 15 to 20 minutes.